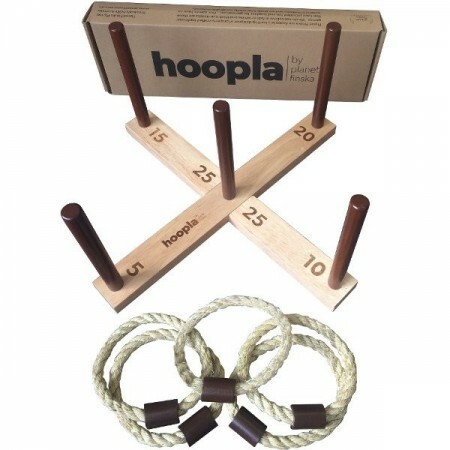 A simple traditional ring toss game great for adults and kids alike. 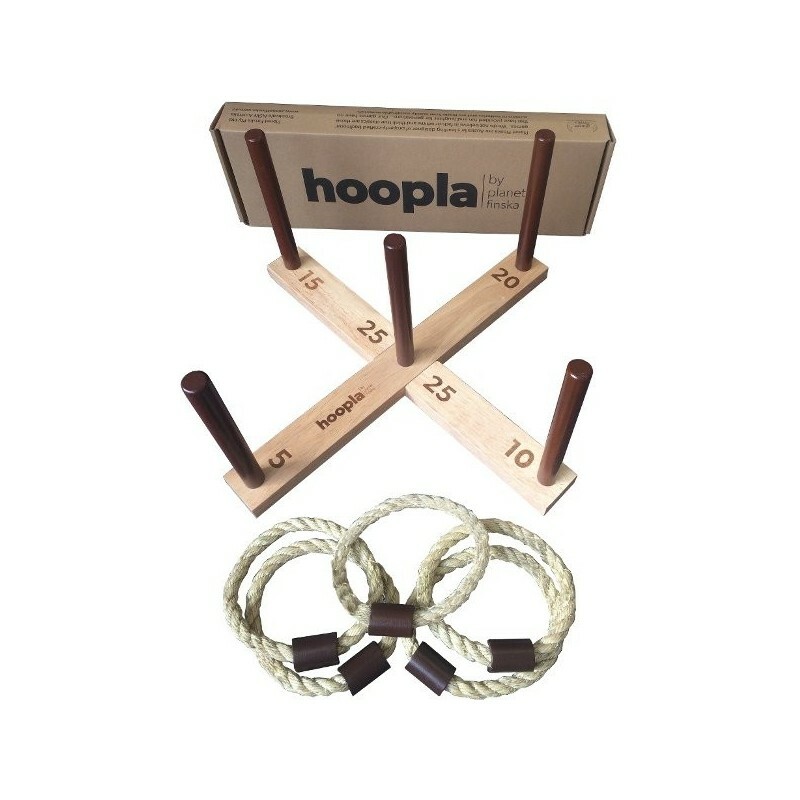 Comes with an environmentally sustainable hardwood timber cross with 5 pegs and 5 natural rope rings. Environmentally sustainable hardwood timber cross with 5 pegs and 5 natural rope rings. Develops children's maths abilities by adding in fives. Comes apart for easy transportation. Cross: 45cm square / Pegs: 18cm high. Great game for BBQs or picnics in the park. Good quality for the price point.